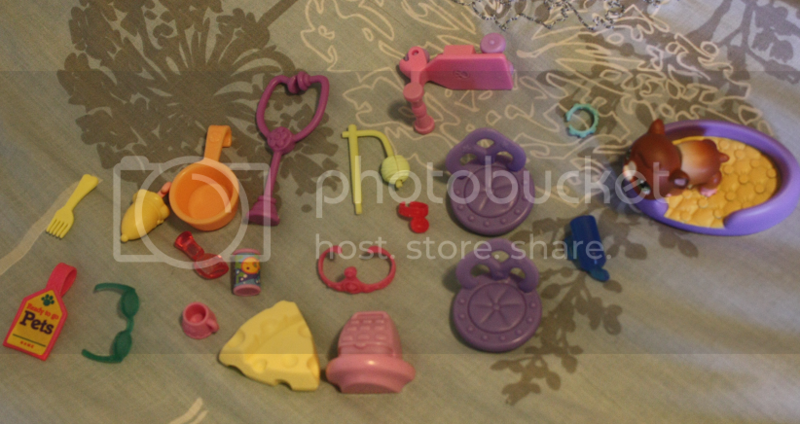 I have a bunch of accessories, which I think are from littlest pet shop playsets (g2 I think, I'm new to this). I don't have a clue which ones they are from, and it doesn't really help that we gave all of them away.. The cash register and chairs came with playsets as well as the stethoscope (Get Better Center). The umbrella came with the purple spider. The cheese came with a white mouse. The yarn on a stick doesn't look like a g2 item, maybe g1? 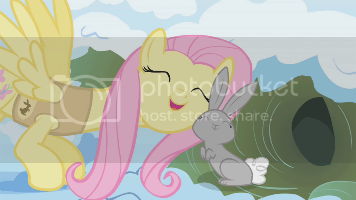 The pot actually looks like the dish that came with Celebration Castle (MLP). The fork might also be MLP, one of the picnic sets or birthday set. The scooter came with a dog. He also had a helmet. The other little accessories could be from numerous other sets. The water thing is either from a bunny or hamster or guinea pig set. The necklace and collar might be from either a cat or dog set. The canned food comes from a playset as well I believe. I can't remember where the purple pet came from unfortunately. I think a dog set.